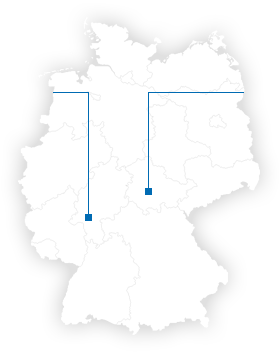 Our CPU is located in the heart of Erfurt, the capital of Thuringia, The general set-up of the site is based on a modular system with highly flexible possibilities of adaptation to the respective phase-I or phase-II study design. All services needed for modern drug development – from full service to modules individually tailored to meet your demands! We are the experts at your side, interdisciplinary and with a high level of training, long work experience by our senior scientists supported by fresh enthusiasm of our junior staff. This is the setting needed for providing real expertise. Our sponsors count on us when performing clinical trials. Either with an all-around package from planning to report or with a modular approach: Always creating a tailor-made solution for you. Compounds with Pre-systemic Site of Action: Is the BE Concept Applicable? Our excellence is a result of our employees' relentless efforts, profound know-how and high motivation. We believe in a culture where people take pride in working together to better meet our clients needs, a culture that fosters personal growth and professional development.